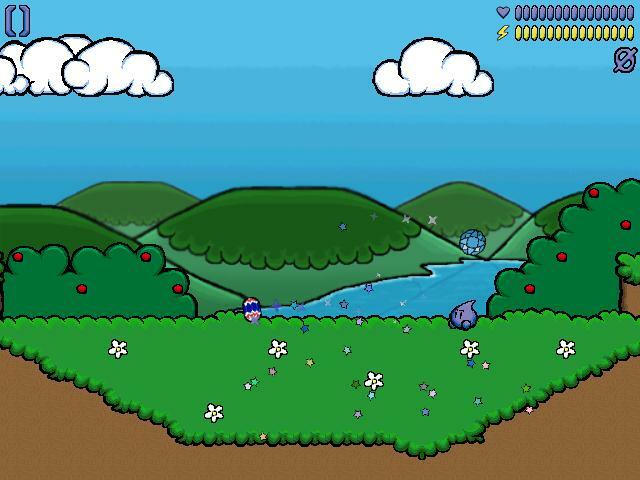 Originally released in 2004, Glace is a PC game built by people who grew up in the 80’s and who loved the classic platformers of their childhood. The game follows Glace, a creature who blinks suddenly into being and who struggles for purpose in a world that doesn’t seem to want him. The game was warmly received and played by millions. But as the years went by, the developer failed to provide updates, and over time fewer and fewer computers would run the game. Eventually, Glace is forgotten altogether. It’s Like A Real Game This Time! These things should have been there in the first place. The Made Again edition of Glace will have gamepad support and normal game things like control customization. Be on the look out for quality of life improvements - like save points. And who knows, you’ll maybe even be able to minimize the game without crashing the OS. In the original Glace, players could unlock more difficult game modes along with special playable characters. The Made Again edition has more planned along these lines. As you play, you can affect the end game. As you become stronger, you can take your powers along in the next play through - if that’s your thing. The purple blob has always been fast and fierce. Glace still rockets around like an atomic bouncy ball, but in the Made Again edition, he’s even more dangerous. His opposition has some new tricks, too. This isn’t a sequel. There’s a lot that’s not changing in the new edition. The personalities, story, and core game play remain. You’ll still explore grassy meadows, murky swamps, snowy mountains, and on-the-moon laboratories - there’s just a little more to keep you busy while you’re out and about. You’ll still collect gems - there’s just a few more ways to use them. Development of Glace Made Again is ongoing and I’d love to hear your input. Whether you’re looking forward to playing the game again or for the first time, or if there’s something in the original that drove you nuts and you’d like to see it change, feel free to reach out and speak your mind. Message me at glace@tommyvisic.com, sign up for updates below and join our Discord serverl!